Independence Day Special : Is Independent India A Creation Of British Parliament? Independence of India was not a mere transfer of power; it was the birth of a new nation, with renewed identity and fresh set of aspirations. It was the result of long struggle by the people of India. The freedom struggle was not just a political mobilization; rather, it was a cultural movement which shaped the national identity. The abstract notion of independence was given concrete contours through the legislative medium of "Indian Independence Act,1947". Enacted by the British Parliament, the Indian Independence Act dealt with the modalities of transfer of power and transitory provisions. The end of colonial domain and the division of British India into two domains- India and Pakistan- were implemented through this Act. 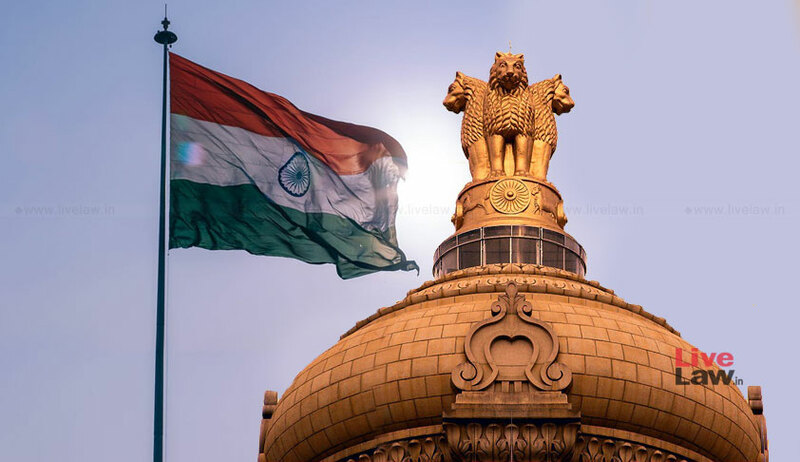 The preamble of the Act read :- "An Act to make provision for the setting up in India of two independent Dominions, to substitute other provisions for certain provisions of the Government of India Act, 1947". Fifteenth August 1947 was the "appointed day" as per the Act. As per Section 1 of the Act, two independent dominions, respectively known as India and Paksitan, will come into existence from the appointed day (But the transfer of power for Pakistan was ceremonially held on August 14, 1947, because Lord Mountbatten wanted to attend both the functions of India and Pakistan). The Act provided for mechanism for division of Bengal and Punjab provinces between both nations. It established the office of Governor General to represent the British Crown in the new dominions, until the adoption of Constitution. Colonial rule was put to end by Section 7, which stated that from the appointed day, the British Crown will have no responsibility in the aspects of governance of areas which were part of British India. It also stated that the suzerainty of British Crown over Indian States lapsed with effect from the appointed day. The States were given liberty to opt out of the common wealth. Section 6 of the Act granted legislative autonomy to the new dominions. It stated that laws passed by the UK Parliament after the appointed day will not apply to the dominions. It also stated that new legislations passed by the dominions need not get the assent of the Crown, and that they will not be void due to any repugnancy with laws passed by the UK Parliament. Section 8 conferred power on the Constituent Assembly to prepare a Constitution for the new dominions. The Constituent Assembly was established as per Cabinet Mission plan of 1946, and its members were elected in the provincial elections held in 1946. It was given legal recognition by Section 8 of the Indian Independence Act. This Section also dealt with transitory powers, by stating that till the enactment of Constitution, the dominions will be governed as nearly as possible in accordance with the Government of India Act 1935. Is Independent India a Creation of British Parliament? If the end of colonial rule and independence of India was made possible through this enactment, one doubt will arise- Is Independent India a creation of British Parliament?. It is not acceptable that Indian Independence is solely founded on an Act passed by the British Parliament. Reducing Indian independence to a mere legislative grant by the imperial ruler will impinge on the pride and autonomy of Indian people, who won freedom through years of fight and struggle. Certainly this was a legislative anomaly, which had to be corrected. What would have been the outcome if the UK Parliament repealed the Indian Independence Act with retrospective effect? The Constituent Assembly applied their mind on this aspect. To assert independence and autonomy of India, it was necessary to sever all sorts of legislative ties which linked it with the imperial ruler. This was done by repealing the Indian Independence Act, 1947 as per Article 395 of the Constitution of India. Here, one may wonder- whether the Constituent Assembly, which was a creation of the Indian Independence Act, 1947, could have repealed the Act, which was its parent in a sense. This is where the independent existence of Constitution of India gets clear. The repeal of the Indian Independence Act was done by the Constitution of India, and not the Constituent Assembly, because the Constitution assumed its own autonomous existence, independent of its creators, upon coming into being. The Constitution came into existence by automatically extinguishing its creator, the Constituent Assembly, which was disbanded on January 24, 1950. This is symbolic of the independent existence of Constitution, without any pre-existing ties to any external entity. This is where the words "We, the people of India,..... hereby enact, adopt and give to ourselves this Constitution" resound with meaning. The Constitution was not given to the people of India by the UK Parliament or the Constituent Assembly. It was given to the people of India by themselves. Thus, "the people of India", became the source of the Constitution of India, and its Kalsenian ground norm. In doing so, the Constituent Assembly had taken cue from Ireland. Irish Independence was granted as per Irish Free State Constitution Act, 1922 enacted by the UK Parliament. Irish Constitution was enacted by the Constituent Assembly created by this Act. In order to cut the umbilical cord with the previous ruler, the Irish Constitution abolished the Irish Free State Constitution Act, 1922. Jurisprudentially, this practise is called "Constitutional Autochtony", which refers to deliberate Constitutional measures adopted by newly independent States to place the root of their autonomy in their indigenous soil, by breaking the chain of legal continuity from erstwhile rulers. This concept has been well explained by Dr.Shivprasad Swaminathan(Associate Professor, Jindal Global Law School), in his article "India's benign constitutional revolution", published in "The Hindu" in 2013. He explains that "the goal of constitutional autochthony is to deliver an indigenous Constitution, the source of whose ‘authority’ can be located in the new state’s own soil". Dr. Swaminathan states that the quest for autochthony symbolically ensures that the independent future will be insulated from a troubled imperial past. This ingenious measure ensured that the roots of Indian independence will not be located in an imperial legislation, but within the hopes and aspirations of people of India, as it rightly should be. Manu Sebastian is an an Advocate practising at the High Court of Kerala.